WITH stalwarts like Robbie Keane and Richard Dunne soon to join Damien Duff and Shay Given in international retirement, what is Ireland’s 2020 vision? The Irish squad for upcoming friendly matches contains the usual suspects who were used by Giovanni Trapattoni. With work being done to recruit players through the “Granny Rule”, new faces are expected to arrive during the 2016 European Championship qualifying process, but there’s also a crop of youngsters, who in the next 5-10 years, will be looking to make their impact on the senior team as we head towards Euro 2020 and the World Cup in 2022. News that Ryan McLaughlin is likely to be sticking with Northern Ireland is not a major blow to the FAI as the Belfast native may well be overtaken at club level by Dubliner O’Hanlon. The 18-year-old Blanchardstown native joined the Liverpool Academy at the start of the 2011-12 campaign and can play either left-back or out on the left flank. Possessing all the attributes of a gifted winger, O’Hanlon, a product of St Kevin’s Boys Club in Dublin, is the type of player that Reds boss Brendan Rodgers will not be afraid to throw in at the deep end. Dubliner Byrne started his career with St Joseph’s before joining United in July 2011. 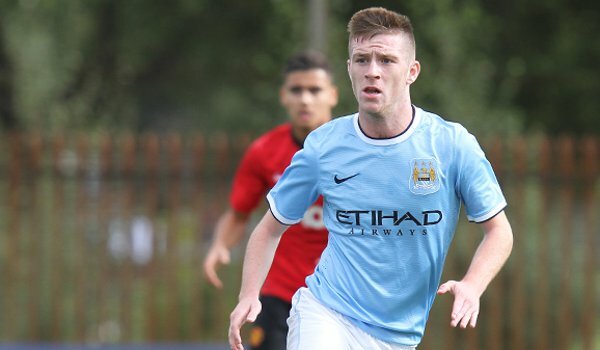 The 18-year-old striker has represented Ireland at every level from U15 to U19 and despite an average goal return playing for United at various youth team levels, he caught the eye of former Irish international Graham Kavanagh who took him on loan to Carlisle United in January 2014 where he scored his first professional goal against Coventry City. Byrne will be looking to get out on loan again next season and in the process catch the eye of Irish U21 boss Noel King. Former Cork City midfielder Browne was voted Airtricity League U19 Player of the Year in 2012/13 as he led the Rebels to a league and cup double at that level. The 19-year-old midfielder swapped Cork for Preston in January 2014 and scored on his first-team debut against Peterborough United in March. An industrious box-to-box midfielder, Browne is comfortable with either foot, has a good range of passing and likes to get forward to score and create goals. Browne started his career with Ringmahon Rangers and won his first Irish U19 cap against Norway in 2013. Fulham’s relegation from the Premier League could well end up being a blessing for the development of Mayo man Noe Baba who turned down Manchester United and Celtic to sign for The Whites in 2012 from Castlebar Celtic. Fulham were a shambles defensively last season and the 17-year-old needs to show Felix Magath during pre-season he can be trusted to tighten up The Cottagers weak back line as they look to bounce straight back to the top flight from the Championship. Born in Cameroon, Baba became the first African-born player to captain a Republic of Ireland age group when he led the U17s. Irish fans will have to get their thinking caps on to come up with a song for Dubliner Elbouzedi whose father is from Libya. A skilful winger, with an eye for goal, Elbouzedi began his career with Malahide United and some impressive performances for the Irish U15 team and the North Dublin Schoolboy League in the Milk Cup led to interest from a host of English teams. After a few busy seasons travelling across the water for trials with Aston Villa, Norwich City, Middlesbrough, Wolves, Sheffield United and Preston North End, Elbouzedi opted to sign for West Brom. A highly-rated central midfielder, Poame was born in the Ivory Coast and was the talk of the North Dublin Schoolboy League for years due to his standout performances for Corduff FC, who he joined aged 10. Poame will complete his move to Sunderland this summer, after six years with Corduff, becoming the first player in the club’s history to sign to an English top-flight team while still part of the club’s set-up. The powerful midfielder represented the North Dublin league in the Milk Cup in Northern Ireland, and was picked to be a part of the FAI’s Emerging Talent programme before going on to play for the Irish U15 team. Manchester United, Liverpool, Birmingham, Ipswich and Celtic all expressed an interest in Poame. Belgium is currently one of the most talked about youth development systems in the world so the FAI should be commended for snapping up highly rated Anderlecht goalkeeper Liam Bossin. The 17-year-old qualifies for Ireland through his mother Majella Carton and signed for Anderlecht in May 2012, after making his debut for Belgian second division side White Star Woluwe at 16, for whom he made three first-team appearances. Bossin was recommended to Irish U19 manager Paul Doolin by Anderlecht youth academy coach Jean Kindermans and has gone on to secure a place in the U19 squad. Bossin’s recommendation from his club came after another of the club’s youth products, defender Robin Walsh, represented Ireland at U17 level. Money makes the world go round, and it also makes it very difficult for a young Irish player to break into the first-team at a club with bundles of the stuff. 18-year-old Jack Byrne is trying to do just that and the signs are looking good for the midfielder, with Niall Quinn comparing him to Manchester United legend Paul Scholes. Byrne’s immaculate passing, ability to find space and time and quickness of thought — as well as his small stature — have led to the Scholes comparison. Byrne who started his career with St Kevin’s in Dublin has recently received his first call-up to the Irish U21 squad. Grealish first declared to play for Ireland aged 14 and has gone on to win caps from U15 to U21 level qualifying through his father Kevin who is from Dublin. 4-0 defeat at Manchester City earlier this month. England have been pursuing the Birmingham-born attacker which has led to the suggestion that Martin O’Neill will cap the Villa starlet at senior level sooner rather than later. After scoring close to 60 goals in one season for Bedfont Eagles U14s, Grego-Cox signed a contract with QPR in 2010. With former Irish U21 player Steve Gallen coaching the talented striker, the FAI was notified that he qualifies to play for Ireland through his grandparents. Grego-Cox’s pace and aggressive style of play was an instant hit on the international stage where he scored on his debut against Croatia which was followed by the winning goal against Austria. 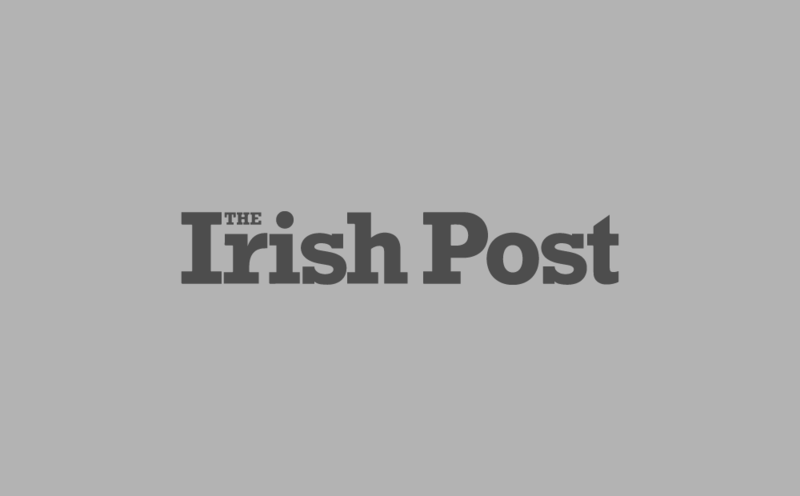 The 17-year-old was called up to the Irish U18 squad in March. Concerns have been raised over his temperament on the pitch … but a competitive edge didn’t do Roy Keane much harm. Crowley represented Ireland from U15 to U17 level before switching his allegiance to England at the same time he left Aston Villa to join Arsenal. One of the most highly rated young players in Britain, his style is similar to Jack Wilshere. With a cultured left foot and an eye for goal, Crowley operates as a playmaker in the number 10 role and the 16-year-old is likely to be fast-tracked through the ranks like Wilshere. Whether Ireland can get the youngster back into the green jersey remains to be seen, but it would be a shame not to try.